"Overrated? Most assuredly, but utterly engaging from beginning to end. Not Yorgos' most humorous piece, but technically sound and brilliantly acted. _Final rating:★★★ - I liked it. 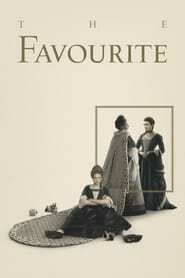 Would personally recommend you give it a go._"
"If you enjoy reading my Spoiler-Free reviews, please follow my blog :) The Favourite is one of the most acclaimed movies of last year, receiving multiple nominations at dozens of awards shows and winning a whole bunch of them (2nd most awarded film of 2018, behind Roma). Being a fan of Yorgos Lanthimos’ style, I couldn’t be happier for him, and I was now even more excited to watch what he produced and directed. This movie is a classic example of an Oscars’ tradition of sorts. A lot of audience members make their mission to watch every Best Picture nominee before the big night, and there’s always one film that people fail to grasp on why did it get so much praise? Why are critics all around the world absolutely loving what audiences perceive as an “okay” time at the theater, but which contains a long, weird and maybe even dull (for some) story? Well, first of all, this is technically a masterpiece. I mean, every single technical aspect is worthy of recognition. The production and set design are gorgeously eyegasmic. The score is unusual for a period piece like this, but it weirdly works, as it continuously elevates the tension between the three main characters and helps the story flow with an always conspicuous, treacherous feeling. Even the cinematography and the plays with candlelight offer some pretty neat scenes. However, and prepare to be surprised, the costume design steals the show from all the other achievements. This is coming from a guy who has utterly no interest in this particular matter and who rarely talks about it, so I’m as surprised as you are. It’s not due to the costumes being pretty or appropriate to the time period. Almost every movie that tackles these times nail the costume design, but only a few can tell a character arc through it. Even less are capable of embodying the whole screenplay like this Oscar-bait does. Our protagonists have distinct journeys, but their ends all have similarities. One way of understanding the story is through what they wear, which seamlessly represent the arc that each character takes to get where they eventually end up. These layers of storytelling keep the film intriguing, but Lanthimos’ uncommon methods plus McNamara and Davis’ script will displease some audience members. The Favourite is that movie that audiences are going to be perplexed about why do critics adore it. There’s no secret, really. Audience members don’t care about the technical part of films. They couldn’t care less about costume design, cinematography, score or how the screenplay is written. They want to be entertained and have a good time at the theater, so I find reasonable if people leave a bit disappointed with one of the most critically acclaimed movies of 2018. Lanthimos doesn’t deliver formulaic stories, and he certainly doesn’t film them in a regular fashion, so I firmly believe the general public isn’t really going to enjoy this one. His unique style brings a very different tone, pace and filming techniques that people aren’t used to experiencing. Fortunately, there’s more than just technical attributes to this film. Three magnificent and powerful performances from Olivia Colman, Emma Stone, and Rachel Weisz, carry the whole thing to safe harbor. These three actresses deserve every single nomination they got so far. Colman delivers both a hilarious and emotionally heavy display, as Anne. An incredibly fragile Queen with a shockingly traumatic past, whose love and affection is being fought for between Abigail and Sarah. Most of the laughs this movie gives are through Anne and her petty behavior towards her servants. Colman delivers her body and soul to her role, adding yet another fantastic performance to her splendid career. Weisz is just flawless. Sarah‘s arc is Abigail‘s opposite in almost every way, and Rachel is remarkably sharp. She doesn’t really have a definite shining moment like Stone or Colman have, but it’s a consistent and robust display from an actress who needed a return to the spotlight. Nevertheless, it’s Emma Stone who shines through with an unbelievable range of emotions and expressions. Her performance in La La Land is great, but as Abigail she is outstanding! She handles her character’s personality change with an impeccable transition regarding her acting and the only reason why she’s probably not getting the Oscar win, is due to the campaign supporting Regina King (If Beale Street Could Talk). Abigail is the character that moves the plot forward by trying to steal Sarah‘s place near the Queen. Her intelligent and manipulative moves are extremely captivating, as well as her will to gain Anne‘s love. Yorgos Lanthimos knows his craft and his weird yet unparalleled style is something that will surely deliver even more divisive and confusing films in the future. From the camera angles to his methods of storytelling, he’s one hell of a director-writer-producer! Technically, The Favourite is undoubtedly one of the best movies of the last year. The impressive production and set design plus the addictive score definitely raise the film, but the costume design tells a whole story through what the characters dress during the whole runtime. The screenplay is remarkably-written, filled with complex dialogues and several twists and turns, which lead our characters through eventful arcs. Olivia Colman and Rachel Weisz deliver compelling performances, but Emma Stone is in another level. Her range is mind-boggling, and she carries a big responsibility by portraying the character who changes the whole story. Nevertheless, the movie feels a bit too long, and the story drops its interest levels during the transition from the second to the third act. 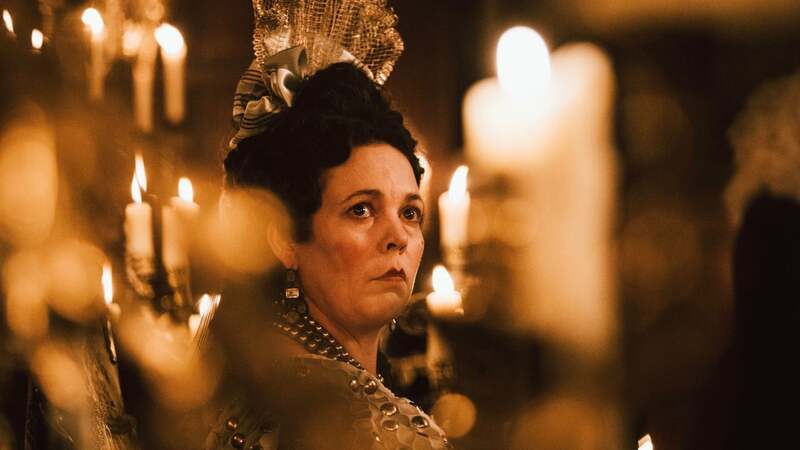 Basically, I’ll put it like this: if you’re just a regular audience member who only goes to the theater to eat popcorn while being entertained, The Favourite isn’t going to make you eat your whole bucket; if you watch films through a more in-depth look, then you’ll be as marveled as I was by the end of it. Rating: A-"